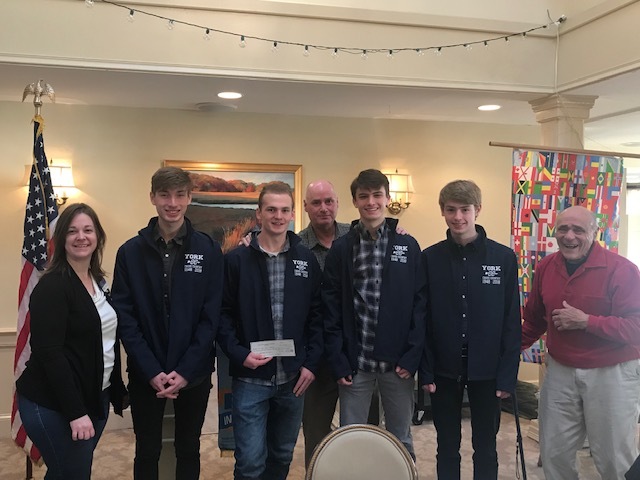 It was a busy Friday morning at the York Rotary Club meeting~ Members of the State Champion York High School track team along with Coach Hutch attended the meeting and were presented with a check from President Joerres. This donation has become a tradition, and is from funds raised at our annual Turkey Trot. In addition, we had Amy Schram from the Better Business Bureau speak to us about Identity Theft and how members can protect themselves. Busy, yet fun filled meeting!